I’ve scoured the internet using the keywords “Evidence Explained citation generator,”“EE citation generator,” and “citation generator.” I’ve even substituted “machine” for “generator,” nothing was found. But this is the era of technology! It would appear to me that if your primary goal is to encourage standardizing genealogy citations you would have already implemented a software citation generator to the public. This concept is not new to the academic world as done by Modern Language Association of America (MLA), or even APA. Then there are the more popular Chicago Manual of Style (CMS) citation machines used by the genealogy community. Perhaps CMS is still very popular because there are source citation generators out there that can be easily tweaked for genealogists, even though it fails to adhere to the genealogy world’s need of standardization. But this posting would not be necessary in the technology age of 2010, if the primary goal to encourage standardizing the use of Evidence Explained for genealogy was being met. Sure, Legacy software has the Evidence Explained based “source writer” in its Deluxe software for about $40-$60USD, but I don’t want or need new genealogy software, I want and need an electronic version of the citation generator. Just the "source writer" part! I don’t need the $24.95 electronic copy of the book as sold by Footnote.com; however, this searchable and more practical version would be more appealing if the source citation software was included, but this is not indicated. I really truly just want a citation generator. Plug in, print out! My ProGen Study Group, who put up with my babbling and pontificating during class yesterday, put all the arguments on the table: it’s fairly new to the market, Elizabeth Shown Mills is probably still benefiting from copyright protection, it may take more time to implement the Legacy source writer independently from the software bundles/packages, etc. And I must agree with all. But what happened to the “need to standardize?” I don’t want an 885 page book, that weighs practically 3lbs; I can’t travel with it and as a professional genealogist, I’m always on the road. I want to install a generator on my computer and voila! I’ll pay for it, just like I paid for the Evidence Explained Quicksheet Citing Online Historical Resources Pamplet. 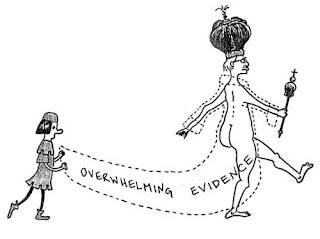 I’m truly not denying the need for Evidence Explained. I hope my ProGen Study Group understands that, even though it sounds like I’m taking this way too personally. Sidebar: I always have a revelation through this group. Yesterday it was, “I hold grudges.” I have yet to release an incident, a rather inappropriate comment made, at the NGS Conference in KC. What was that, in 2008? And I haven’t been in a Walmart for over 10 years, but that's another story. Grudges aside, I will still purchase a plug and play Evidence Explained citation machine. In the meantime, I’ll continue using the Chicago Style Manual citation generators as much as possible, and pull out the Evidence Explained Quicksheet when all else fails. Very nice and informative article, by the way I am using www.makecitation.com, to make citations, a very good citation machine. I am sharing this through this great platform with others. And, to check Plagiarism I am using www.findplagiarism.net. Both are very good websites.